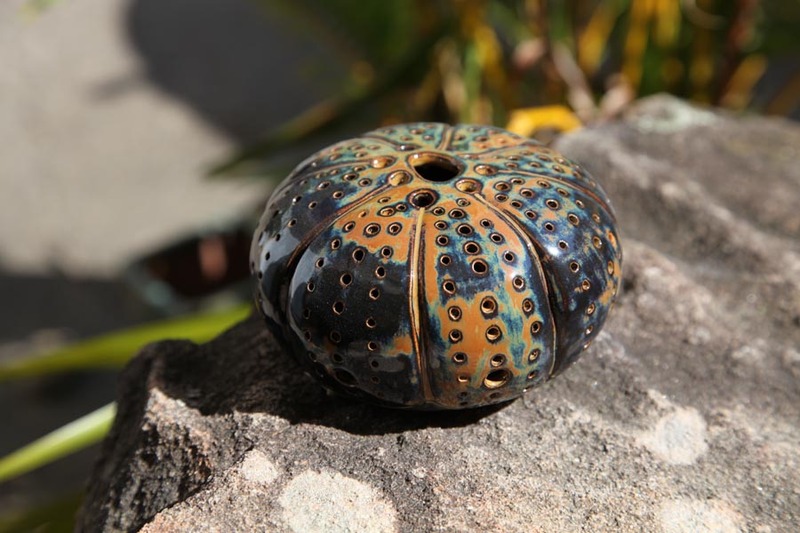 Amazing sea urchin tea light holder in glossy browns, blues and honey colours. 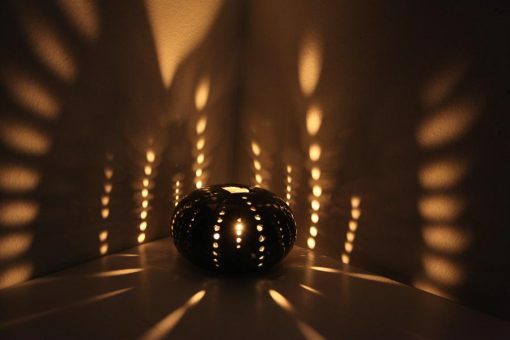 Approximately 5cm tall and 7cm in diameter, this little tea light looks amazing when it is lit! Use a tea light or an LED light.